Sometimes when you move to Livestorm, you already have registrants that subscribed to a previous webinar software or to one of your landing pages. But you don't want to make them register AGAIN through the Livestorm landing page. 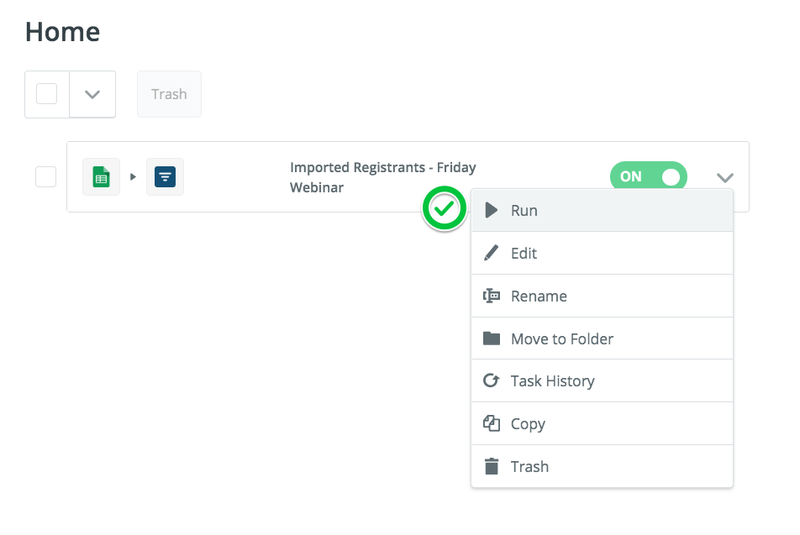 You can import contacts from a CSV file to Livestorm using our Zapier integration. It's the same process as using your own landing page, but it's a semi-automatic process using a spreadsheet. If you're not sure about what you are doing, please get in touch, we can help with all of your questions. If you choose to opt for this method, please make sure to collect consent from your registrants to use their data. This is required if you will be using their data to register them yourself. I updated my spreadsheet later, but Zapier didn't send anything to Livestorm. Why? If you're on the Free or Starter plan, Zapier check for updates in your trigger apps every 15 minutes. 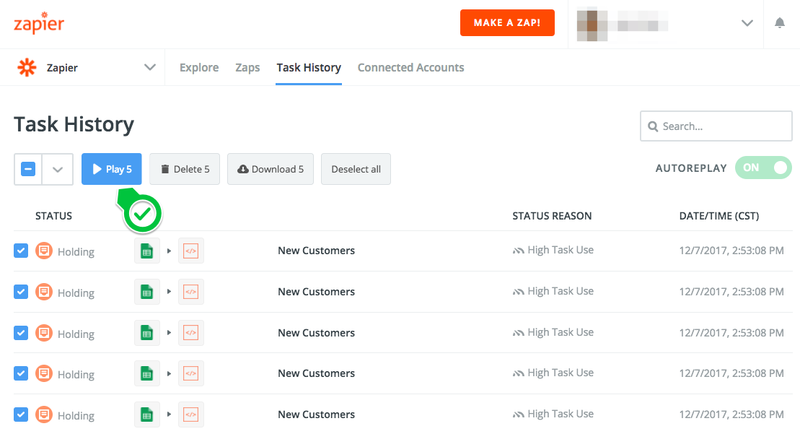 If you're on the Professional plan or above, Zapier check for updates in your trigger apps every 5 minutes. So it's quite possible that the new changes will be sent shortly. If you don't want to wait, you can always do this manually. All you have to do is go to your Zap options, and click "Run". Why do my Tasks have a status of "Holding"? If you have a large number of registrants (100+) you're trying to send to Livestorm, Zapier puts them on hold for you. 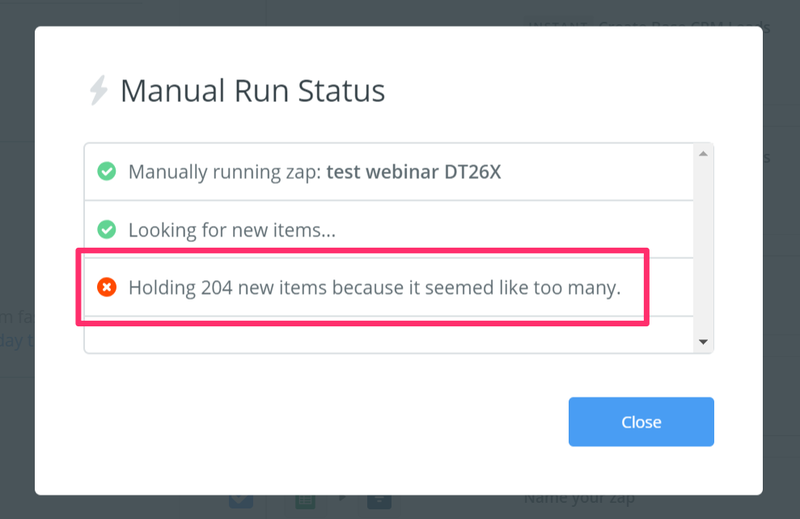 This helps prevent a significant number of Zapier tasks being sent by mistake, which helps keep your task usage down and prevents tedious work correcting those unintended mistakes later on.